The Sacred Page: Did Luther Really Understand Aquinas? Colin Brown, Christianity and Western Thought: A History of Philosphers, Ideas and Movements, Vol. 1, From the Ancient World to the Age of Enlightenment (Downers Grove: InterVarsity Press, 1990), 150. 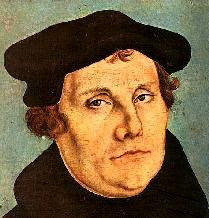 "whether Luther’s theology would have been different if he had possessed a firsthand knowledge of Thomas. The answer remains doubtful." No, because, regardless of the fact that Luther's access to the writings of the Angelic Doctor were of a secondary nature, he had primary access to the Scriptures. Thanks for this. I picked up on this and reflected on it at http://gratefultothedead.wordpress.com/2010/08/06/did-either-martin-luther-or-c-s-lewis-understand-and-appreciate-thomas-aquinas/, adding some thoughts from a little-read work of C S Lewis. Hey, Chris. I'm a grad of Bethel Seminary (76) and took a readings course in Aquinas while there. In that course, I discovered that Francis Schaeffer, my hero and mentor at the time, had never really read Aquinas and totally misjudged him. (I later discerned that Schaeffer hadn't read much of what he judged... oh well.) I majored in church history and theology there due to reading most of Luther's works. I've never really solved the Luther/Aquinas question and if you have some references, I'd love to read them. But I slowly discerned that Luther also hadn't read much of the early Church fathers, nor much medieval theology, nor much... well, it was nice hot rhetoric. Historical theology just wasn't his forte. So, though he claimed to be returning to the Fathers and the Bible, he returned to neither. (McGrath's 2 volume work on justification demonstrates Luther's total novelty on the question of justification. 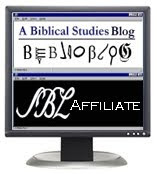 Hundreds of works demonstrate that no Father ever believed in sola Scriptura, let alone sola fides. They were the novel doctrines of Reformation humanism. I'm older now and have a library of 30,000 volumes, mostly theology and church history. I finally realized why Catholics publish and read the early Church Fathers, whereas evangelicals and Protestants don't: they follow them, as well as the councils. Hmm. So after even more grad degrees in Reformation studies, European history, and even Orthodox theology, I became Catholic 15 years ago. I've read tons of Thomists like Maritain, Gilson, Pieper, LaGrange, and am just now rereading the Summa, the first time since those seminary days at Bethel. But the question still haunts me: did Luther ever study Aquinas and would that have made a difference. Perhaps he didn't read him, and perhaps it wouldn't have made a difference. I doubt if Luther had read much of the early Church Fathers, other than Augustine, it would have made a difference. He doesn't appear to be much of an educated person. I suspect he would have declared the Eastern Fathers like the Desert Fathers, Pachomius, the Syrian Fathers, the Greek Fathers, and most of the Latin Fathers heretics: his theology is so opposed to them. He might have liked Chrysostom. Ironically, Thomas was steeped in the Church Fathers, especially the Greek Fathers even more than the Latin Fathers. He quotes the Syrian Dionysius over 6,000 times alone! All medieval theologians were steeped in the early Church Fathers, whereas Luther simply wanted his own interpretation of the Bible, and a novel one at that. I've often wondered if he'd become more read in the Church Fathers, would it have made a difference in his theology. I just don't know. So many have written about his rebellious personality, his attempts to become famous, and his psychological makeup, as well as his peasant background. Sometimes we put on glasses and we just don't want to take them off for fear that it would change our perspective. I know it has taken me another 15 years of study of the early Church Fathers and medieval theology to just scratch the surface. There's so much to learn and so little time in life. But if you have any more references on Luther and Aquinas, I'd love to read them!! (Calvin appears also mostly ignorant about the early Church Fathers for the most part, as well as Aquinas. He did know a little Seneca, however, and loved Bernard.) It is ironic to me that so many of these "reformers" claimed to go back to the early Church, but failed to read so much of the writings of the early Church!! I know, however, that many scholars contend it wasn't really their fault: they just didn't have those writings and some were even discovered decades or centuries afterwards. But why not Aquinas? It just appears that they had little interest or little education in much of the writings of former centuries. Heck, Calvin wrote his Institutes at 25 and Luther his 95 Theses at 32 (?). I'm an old guy at 58. You have probably already read it, but just in case you have not, I would recommend Chesterton's amazing biography of Aquinas in which he compares the mind of Aquinas to the mind of Luther- the comparison is roughly like a comparison of an elephant to a flea- but Chesterton shows deference to Luther as a "hinge of human history" and in the end explains in a few short and brilliant paragraphs how we are really just talking about different points of emphasis- and how Luther used his personality to emphasize his point which was- at its core- a very hurt and rejected monk who strove to make himself great by tearing down others- but God did indeed use his works by his grace! wishing you happy reading and study!